Sometimes tall growing but in its native area, usually a wide spreading, medium sized evergreen tree with a short trunk. 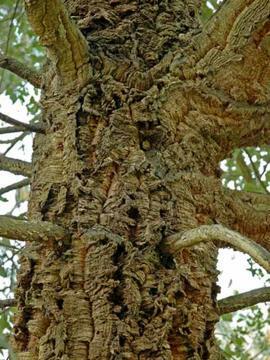 Well known for its very thick, rugged, corky bark. Leathery dark glossy green leaves, grey felted underneath. 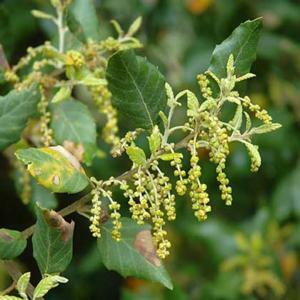 Although hardy, thrives best in a warm Mediterranean type climate and well drained soil. Extensively cultivated in Portugal and Spain, where it produces most of the world's natural cork. The bark is stripped off every 10 years.